Much like the motorcycle and automotive industry, there are hundreds of new boats released every year. While boats may be the playground for the wealthier amongst us, one can always dream and if I came into a big pile of cash, I know exactly where I would invest it! As such, I’ve taken a look at the new boating releases for this year and narrowed it down to these 5 favourites. Absolute Yachts have perfectly combined ergonomics and technology to create the new Absolute 58 Fly which offers low consumption, high manoeuvrability, and silent movement. Propelled by 2 of the new D8-IPS 800 Volvo Penta, the interior of the 58 Fly closely resembles that of the 60 Fly. 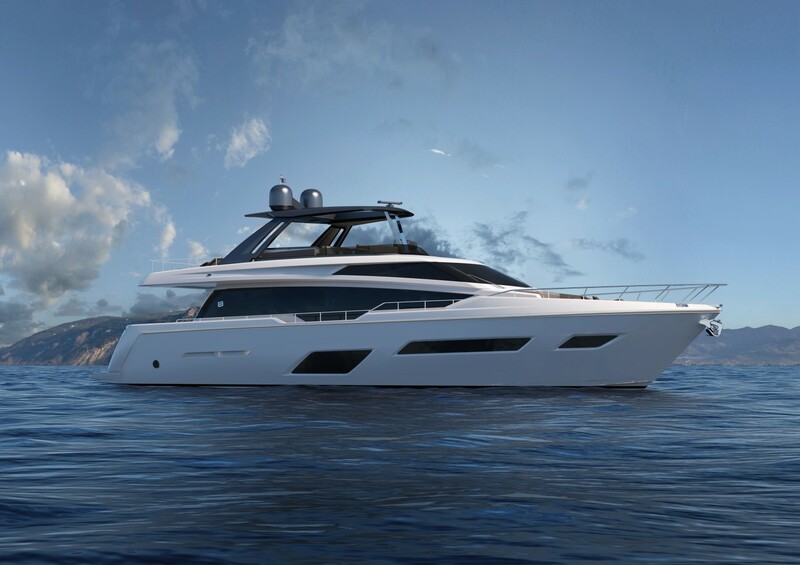 However, while the design aesthetics follow the tradition feeling of the yard, the 58 Fly offers new, larger windows and the stylish bow on the main deck is picture-perfect for sunny days. Yacht designer Stefano Righini has outdone himself with the Azimut S7 and given her a sleek, sporty appearance, while Azimuti teamed up with Ausonio Naval Architecture to create the V-shaped hull. Thanks to the use of carbon as opposed to the classic GRP, the Azimut S7 weighs a surprising 43.5 tons despite her dimensions and the carbon also improves the yacht in terms of stability and durability. Perfect for enjoying Lucky Nugget Casino Canada while aboard! Bavaria has rung in a new era of design, luxury, and quality through their craftsmanship of the Bavaria R55, which is the largest motoryacht ever built in Giebelstadt. Available as a hardtop and a flybridge version, the deep V-design of the bow area and a flat stern facilitate easy handling, maximising performance and efficiency. The deck offers spacious comfort and ease of accessibility, while the flybridge offers a large seating area with a dining table and wet bar. Almost half a century of visionary design has been driven by evolution at Ferretti Yachts, while innovation and continuous research produces yachts that meet the owner’s desires for style, comfort, and safety at sea. The 780’s aggressive design is heightened by the separation between fiberglass features and glass surfaces, and the hull design is particularly pleasing in its stylistic feature of the 3 windows corresponding to the guest cabins. The Pearl 80, which makes an impression with its manoeuvrability and extraordinary comfort, marks another milestone in the history of Pearl Yachts. Elegance meets modern design with exterior and interior design by Bill Dixon and Kelly Hoppen respectively, while the 2 MAN V12-1800 V-engines offer an outstanding power-to-weight ratio. The Pearl 80 covers and exceeds all the bases, and leaves nothing to be desired.